Relationship-based practices are central to what child care centers can do to provide high-quality care for infants and toddlers. “Primary caregiving” and “continuity of care” are practices that enable caregivers to develop close, positive relationships with infants and toddlers. Providing such care can be challenging, though state- and program-level policies can support these practices. The human brain develops faster during the first few years of life than at any subsequent time, reaching 85 percent of its adult size by age three.1 This early development establishes the foundation for later learning. As research increasingly reveals the scale and importance of early brain development, early care providers and state policymakers are focusing more urgently on finding the best ways to support healthy development in a child’s earliest years. A central message of the brief, titled “Including Relationship-Based Care Practices in Infant-Toddler Care,” is the importance of supportive policies that focus on the relationship between caregiver and child as the key to strengthening healthy early development. “The federal government asked for guidance on what it means to provide high-quality care for infants and toddlers — both for child care providers and for states that are reviewing or revising how they license, evaluate, and support those providers,” says Kerry Kriener-Althen, one of the brief’s coauthors, and the Evaluation Team Director at WestEd’s Center for Child & Family Studies (CCFS). “If programs and states want to promote high-quality caregiving for infants and toddlers, they need to focus on policies that promote relationship-based practices,” she says. 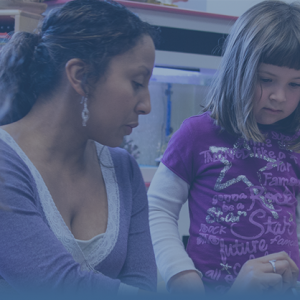 The brief highlights the work of several organizations and programs that support relationship-based practices for early childhood education, including WestEd’s Program for Infant/Toddler Care (PITC). Launched in 1986 to provide materials and training for improving the quality of out-of-home care, PITC builds on even earlier work that illuminated the importance of relationship-based practices. “A relationship-based approach has been an underpinning of our agency’s many early childhood initiatives throughout five decades,” says J. Ronald Lally, who helped create PITC and is Co-Director of WestEd’s CCFS. Relationship-based approaches are important because young children “are programmed to learn from their caregivers,” explains Lally. To best support healthy brain development, the child’s connection to the caregiver needs to be strong and positive. “Through the child’s relationships and the context of those relationships, the rapidly developing brain starts to structure itself, creating the foundation for future learning,” says Lally. 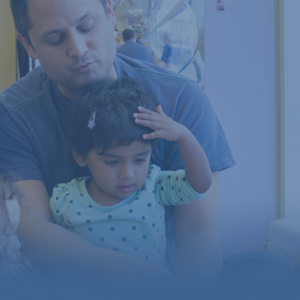 The policy brief puts relationship-based care practices at the center of a variety of factors — including low child-to-staff ratios, small group sizes, and specialized training for the staff — that contribute to a child care center’s ability to provide high-quality care. These factors provide the conditions for sensitive and responsive caregiving that enhances strong attachments and creates a secure foundation for a child’s exploration, leading to cognitive, linguistic, and social-emotional development. “The highest-quality child care programs create an intimate setting in which cues from infants and toddlers are noticed and understood quickly and accurately by a caregiver who has some history with them and who understands each child’s temperament and specific workings,” Lally says. 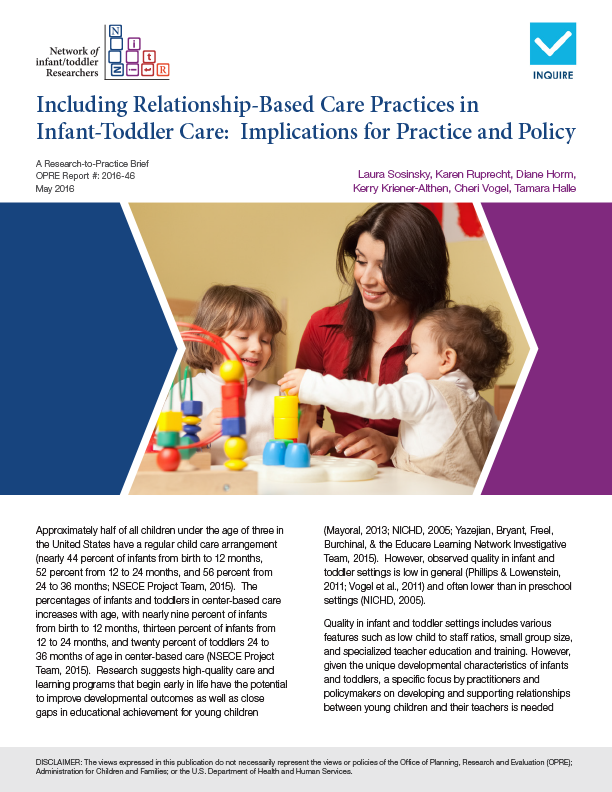 The brief specifies “primary caregiving” and “continuity of care” as two main constituents of relationship-based practices that enable caregivers to develop close, positive relationships with infants and toddlers. The practice of primary caregiving involves ensuring that each infant or toddler interacts primarily, but not exclusively, with one or two adults in a child care setting, rather than going from adult to adult for different activities through the day. This practice gives primary caregivers a chance to build close personal relationships with the children in their care — handling most of the feeding, diapering, and sleeping needs. “Primary caregiving supports healthy development because predictability and familiarity make the child feel safe,” says Kriener-Althen. The approach also enhances the caregivers’ ability to work in partnership with families, communicating with parents during drop-off and pick-up, learning about the family’s cultural values and child-rearing practices, and sharing insights and information about the child’s development. The practice known as continuity of care can also contribute to a child’s feelings of safety and security, says Kriener-Althen. Continuity of care involves having children stay with the same caregivers over an extended period, ideally through age three, rather than moving them to a new caregiver based on age or developmental milestones, as often happens in child care settings. Continuity allows children to build relationships over time that they can emotionally depend on and from which they are more likely to receive experiences that match their needs, interests, and learning styles. There are two ways of providing continuity of care: by same-age groupings or by mixed-age groupings. With the same-age approach, children stay together with the same caregivers from when the children first enter the child care setting until age three, but move from one age-appropriate environment to another as they achieve more developmental sophistication. Mixed-age continuity more closely resembles a family child care setting — infants and toddlers of different ages stay with the same teachers and children over time but receive care together in an environment that meets the needs of children of multiple ages. Providing such relationship-based care can be challenging. To ease a child care center’s transition toward providing primary caregiving and continuity of care, the policy brief suggests phasing in elements one at a time, if needed. Primary caregiving may be a good place to start, says Lally, ideally making staffing assignments based on attunement between caregiver and child, and with sensitivity to the unique characteristics of the family. “Primary caregiving requires intentionality on the program’s part,” says Kriener-Althen. Given that a caregiver can’t work for 10 hours straight in a day, primary caregiving demands careful scheduling and strategies for complying with employment laws. It also may require secondary providers to be available to fill in, to avoid creating an emotional void and sense of abandonment during a primary caregiver’s absences. Likewise, continuity of care can present challenges in logistics, resources, space, and caregiver-to-child ratios. 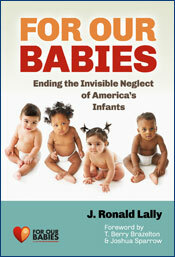 1 For Our Babies: Our Mission, available from http://forourbabies.org/our-mission/. 2 For Our Babies: Quality Infant-Toddler Care, available from http://forourbabies.org/learn-more/quality-care/. The Office of Planning, Research and Evaluation (within the U.S. Department of Health and Human Services) funded the brief, “Including Relationship-Based Care Practices in Infant-Toddler Care: Implications for Practice and Policy,” and the Early Education and Support Division of the California Department of Education funds PITC activities in California; the opinions, conclusions, and recommendations expressed in this article do not necessarily reflect the views of these funders.